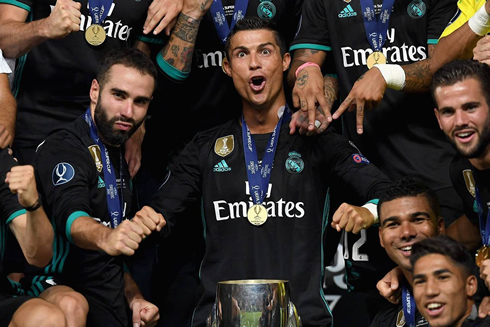 Real Madrid have now won back-to-back European Supercups, after beating Manchester United 2-1 tonight in Macedonia. Casemiro scored in the first half while Isco made it more comfortable for the Merengues later in the second. Another final and yet another win for Real Madrid as they go to 9/9 in their last 9 finals. Fans came into this one a bit worried based on the preseason form. After failing to win any matches in regular time and looking so poor in front of goal, many wondered how the team would fare against a Manchester United side that are looking to reclaim their position amongst the European elite. 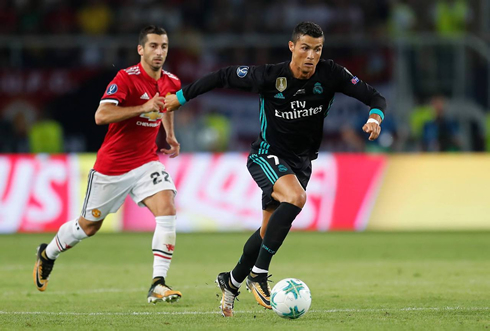 However, any worries were put to rest early, as Madrid looked an entirely different side from their poor showing in the United States and beat Manchester United 2-1 at the end of the 90 minutes to lift the Europea SuperCup for the second year in a row. 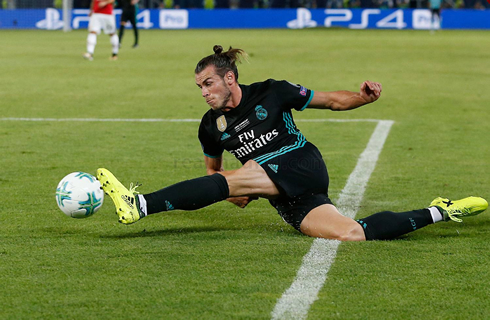 Real Madrid controlled the game in the first half, Gareth Bale and Benzema both looked far more active and the midfield worked as they have been for the past 3/4 seasons. 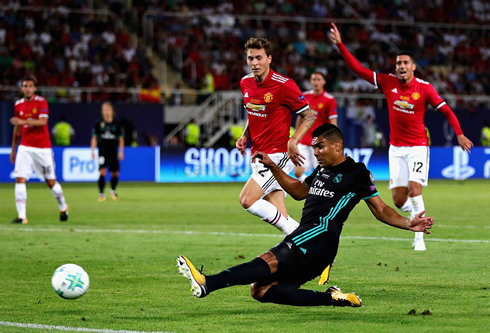 Casemiro, somewhat surprisingly, was the standout on the pitch as he bossed the midfield showing not only his physical presence but also his skill on the ball as he maneuvered around the midfield capitalizing on the space created by Modric and Kroos. The Brazilian would be at the heart of most of the major moves in the game, as he hit the crossbar before eventually bundling home a goal in the 24th minute, after a great ball over the top from Toni Kroos. After the goal, Madrid looked even more comfortable controlling the play all around the pitch and showing why they are in fact two-time defending European Champions. Isco in particular, was a thorn in the Man United defense, with his mazy dribbling and excellent ball control, a true joy to watch. 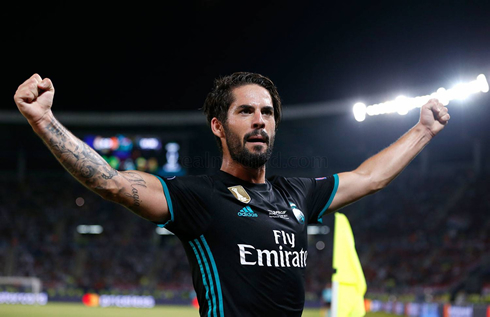 In the second half, Real Madrid continued to dominate, as Isco began to put his stamp on the game and he would get his reward with a brilliant goal with a one-two combination with Gareth Bale early in the second half. Isco's cool finish was an example of how much better he's gotten in front of goal in recent years. At 2-0, Madrid were sitting pretty. Manchester United, however, would bring out their secret weapon Marouane Fellaini and the Belgian giant would become a massive thorn in the side of b. His height and strength would prove to be a problem as Madrid attempted to throw him off his game. United benefited from his presence and eventually found themselves back into the game after Keylor Navas parried a Nemanja Matic shot straight into the path of Romelu Lukaku. The Belgian striker, who had earlier missed an easy opportunity, was far more composed this time and finished. As the game wound down, Manchester United took more and more chances in front of goal. Marcus Rashford should have made it 2-2, but Keylor Navas came up with an excellent save. 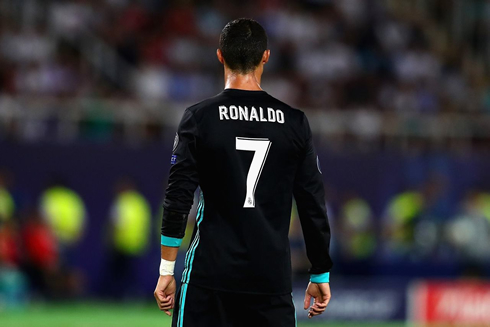 With only a few minutes left to go, Cristiano Ronaldo entered the pitch for his first action of the preseason. He would be heavily cheered from both sides and looked active in his brief time on the pitch. In the end, Madrid would hold on to win 2-1 and start the season off with a trophy. The preseason worries should be over, as Madrid showed they are in fact capable of turning it on when it matters. European Super Cup champions for the second time in a row. Now it's onto the Supercopa to challenge Barcelona in two consecutive El Clasicos and all eyes will be on Zidane's squad selection. Cristiano Ronaldo next game is for the Spanish Super Cup on August 13 of 2017 against Barça. You can watch Juventus live stream, Barcelona vs Real Madrid, Watford vs Liverpool, Brighton Hove Albion vs Manchester City, Arsenal vs Leicester City, and Sevilla vs AS Roma, all matches provided from our soccer live game pages.